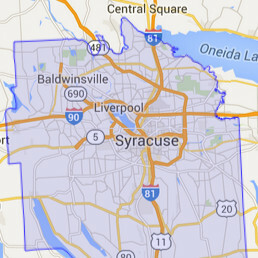 Water damage is a destructive force to any home that must be treated as soon as it happens which is why 911 Restoration Central New York and our water damage Fulton company is available 24/7/365 so we can respond to any household flooding in a timely manner. We have over 35 years of experiernce, and when you experience any of these catastrophes our water damage Fulton specialists will respond within 45 minutes of your call ready to begin pumping water our so we can apply the best restoration techniques to return your home to you in a timely manner. 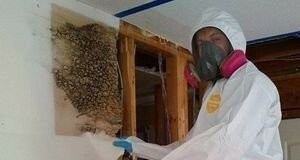 Our water damage restoration services are not only considered the best quality water removal services in Fulton; our water extractions are also performed with speed and expert care because our 911 Restoration crew members value professionalism and this means we offer the best care without compromise. If your washer bursts flooding the basement, or if you have a pipe burst in the kitchen and do’t know what to do, call us right away and let our water cleanup team restore order. 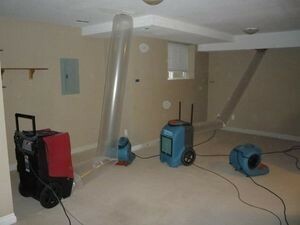 If you have a pipe burst, call our water damage Fulton specialists for same day service. We will start pumping water out as soon as we arrive and finish with a free inspection to visually check for mold. Our drying and cleanup services leave no moisture behind. Speed is of the essence when it comes to leaks. 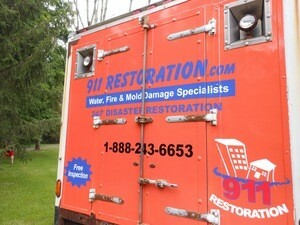 911 Restoration Fulton is dedicated to providing the best water removal to all houses in the area. We work hard to make sure your water extractions go as smooth as possible. We offer a number of preventative measures you can undertake to protect your home from future disasters, for example, a sewage back flow valve will prevent a toilet overflow, insulating your water line can prevent a pipe burst, cleaning your rain gutters can prevent roof leaks, and plumbing repairs prevent a whole slew of problems. When our water damage Fulton company responds to a plumbing disaster or a flooded crawlspace we are always working for the best interest of our neighbors and our special community and therefore we ensure the quality of our service reflects well upon the local. We have over 35 years of experience so when you have water in your home call 911 Restoration and let us work our magic and restore your home to something amazing! Call our water damage Fulton technicians when you need disaster restoration services at an affordable price and we will work with your homeowner’s insurance company to make sure you get the work your home needs. Our water damage Fulton professionals are working with all insurance companies because homeowner’s insurance covers water damage. If you want the full benefits of your insurance policy, you need to be a responsible homeowner. One of the biggest reasons for denied claims is due to negligence. If you take care of preventative maintenance you will not have to worry about negligence. The other reason why your homeowner’s insurance may not cover the disaster is if the leaks have persisted for more than 24 hours, or if the emergency started outside, such as the Oswego River flooding. If your damage has lasted more than a day 911 Restoration Fulton will offer you an affordable price for same day service even without the help of your insurance company. Our affordable price is still available even if you are covered by insurance. Floods from rising water are often covered by flood insurance. According to the Insurance Information Institute, water damage is one of the most common reasons for insurance loss, so it is important to protect your home from such a fate and have our water damage Fulton staff file your claim for you. We are the best water damage restoration company, so call us today. The best water damage Fulton company is 911 Restoration because we offer the best class of care and service while we work to restore your home to something even better than what the customer previously had. Furthermore, we love the city of Fulton not only for the fact it is a small town nestled in Oswego County with tons of charm, but we also love the families and local businesses that keep the region thriving. If your home or business is already amid a flooding situation, then contact our water damage restoration Fulton team with 911 Restoration Central New York today!